For those considering a career as a paralegal, one of the most common concerns is whether they will need to achieve some level of certification before finding employment. Like most legal issues, the answer to this question is complicated. Your need for paralegal certification can depend on several factors, including where you live and the law firm where you are seeking employment. Learning about the possibility of becoming certified and whether you will be required to earn certification before you will be allowed to work should be one of your first steps when you’re thinking about a career as a paralegal. The biggest determining factor in whether you will need to achieve paralegal certification is the state where you are planning on working. While it is not a requirement in some states, many states insist that their paralegals become certified before being eligible to work. If your state requires certification to work as a paralegal, there are a few common steps you will need to follow. First, you will need to complete a paralegal education, usually an associate’s or bachelor’s degree approved by the American Bar Association (ABA). Second, many states require you obtain some level of work experience before certification. 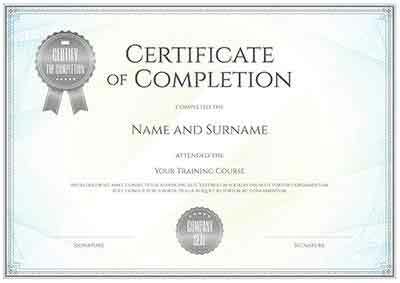 Finally, you will almost always need to pass a paralegal exam before you will be granted full certification. Check with the licensing board in your state to learn the full certification requirements. Even if your state does not require certification for paralegal work, you should still consider earning certification at the national level. There are two national organizations that offer certification for paralegals, the National Association of Legal Assistants (NALA) and the National Federation of Paralegal Associations (NFPA). NALA offers two forms of certification, the Certified Paralegal (CP) designation and the Advanced Paralegal Certification (APC). You will need to pass an exam for the CP or complete a legal curriculum for the APC. If you decide on certification through the NFPA, you will need to sit for and pass the Paralegal Advanced Competency Exam (PACE) to receive your certification. Passing this exam will prove you have mastered the most important skills for a paralegal and who be a strong candidate for any law firm. Whether it is required or voluntary, there are several benefits to earning a paralegal certification. First, it signals to the public that you have made a commitment to your career and can be trusted with important legal services they may be looking for. Secondly, certification often makes it likelier that you will be hired by a top law firms. If a law firm is considering two paralegal candidates, they will almost always choose the one that has earned their certification. If you’re interested in making your paralegal career as successful and rewarding as possible, you should be sure to pursue paralegal certification. Earning paralegal certification is an important part of any paralegal career. Achieving certification serves as proof that you have the skills necessary to work as a paralegal and will increase your chances of finding employment in one of your state’s top law firms.